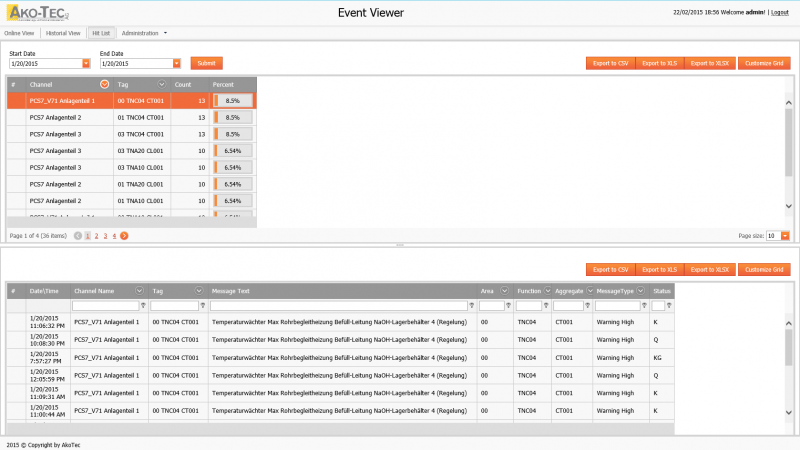 PROTOS 2.0 enables alarms and messages from control systems and automation devices to be recorded, archived and analysed irrespective of the manufacturer. The new PROTOS 2.0 is also suitable for replacing of alarm- protocol and message printer from older control systems. f.e. Siemens PT88, Siemens DR 235 N , etc. The system is operated via the web-based FrontEnd, which features innovative functions for the analysis and displaying of alarms and messages. Overall, attention was particularly paid to the simple and intuitive user interface. 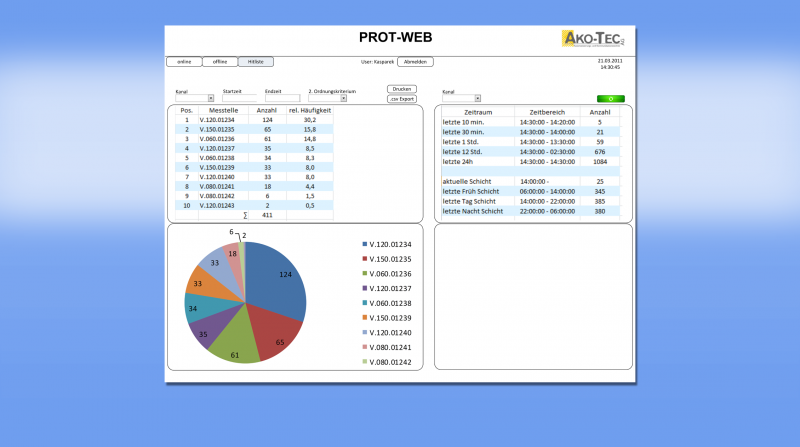 Whether KPI’s for the management or for OEE/GAE systems or detailed information for operators and maintenance, PROTOS 2.0 offers the right information for every user. „OnlineView“: The alarms and messages are displayed in their original reporting order. Individual settings allow the visualisation of the information to be adapted. „Historical View“: Display of the alarms and messages within a selected time span. Via the filter and search options, any desired search requests can be generated. The search results can be exported. „Hit lists“: The creation of automatic, tag-based hit lists. „Chattering (flicker) alarms“: The detection of so-called chattering (flicker) alarms. The definition of a chattering (flicker) alarm can be parameterised. „Alarm/report duration“: Analysis of the duration of the report. 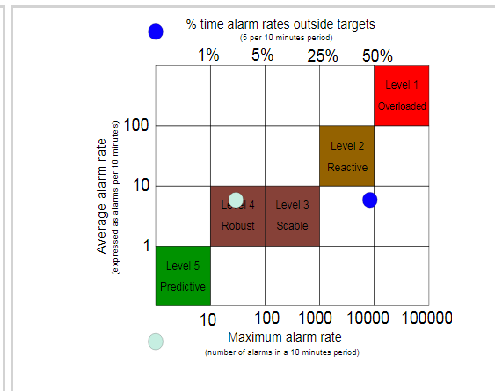 „Alarm/report statistics“: Automatic summation of alarms and/or messages within defined time spans. „Trends“: Measurement point-related analysis of the frequency of the alarms/messages based on two time periods. „Export“: Export of the analyses into different Excel formats. „Reports“: Generation of customer-specific reports via “SQL Server Reporting Services”. PROTOS 2.0 analyses areas and businesses irrespective of the systems used. Function expansions can be carried out fast without them having to be installed on each client computer. All analyses and evaluations are possible for part systems and/or the entire system. The user access to the database occurs using a modern user administration system. The FrontEnd is suitable for use on mobile end terminals such as tablets or smartphones and is optimised for MS-IE V9.x or upwards. The generation of the alarms and reports is possible via different interfaces (TCP/IP; OPC; serial). PROTOS 2.0 features a parser, which parses the alarms/reports and breaks them down into individual elements. The parser has a rules generator that enables individual adaption to suit the customer’s respective conditions. The parsed alarms/reports are transmitted into a SQL-DB by PROTOS 2.0. If the SQL database is not available, the alarms/reports are buffered and recorded later. To enhance performance the data is reorganised in the database cyclically. 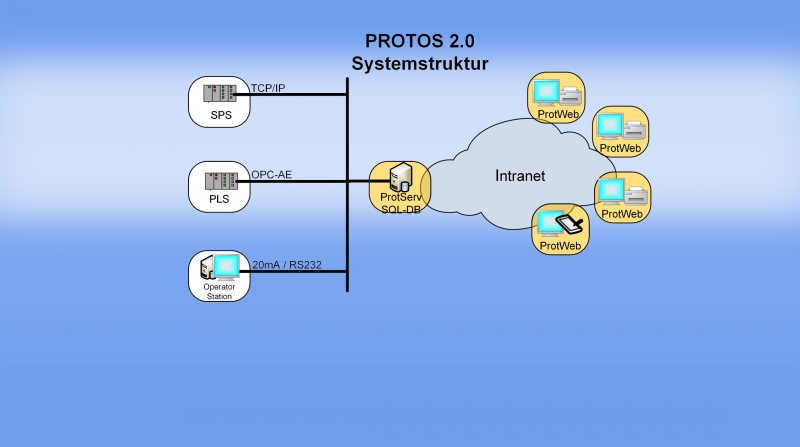 Four data sources can be connected to a PROTOS 2.0 DataServer. The number of DataServers within a PROTOS 2.0 system is limited by the performance of the SQL-DB. The number of clients that can be connected to the database is limited by the licensing or performance of the SQL server. The implementation of the PROTOS 2.0 database is carried out on SQL servers (MS) owned by the customer. It is also possible to record redundant alarms/messages. The FrontEnd offers a language change-over that can be extended individually. PROTOS 2.0 will be available for delivery from March 2015 onwards. WinXP; Win7; MS SQL Server; MS IIS are registered trademarks of Microsoft Corporation.